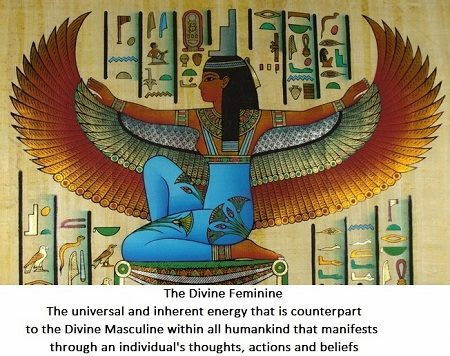 Throughout history, the story of ‘her’ – the Divine Feminine – has been ignored, denigrated, mis-represented and ridiculed, and often, in the modern western world, men who are at peace with their Divine Feminine are considered weak, passive and boring, while women are who are embracing the strength of their Divine Feminine are considered domineering, promiscuous or power hungry. This is why I wrote about the Pilgrimage to meet the inner Divine Feminine in my book – ‘Remembering Isis – Reconnecting the Divine Feminine at the Goddess Temples of Malta‘. While my Pilgrimage, to meet the inner divine Feminine, is a spiritual undertaking that involves interacting with the Consciousness of the Earth and learning from her archetypal and geo-mythic imprints, there are many ways to embrace the divine feminine and she can come forward within each of us at any time to help us change our thoughts, actions and beliefs. Just because our mythologies, our expressions, our behaviours, and our media have it all upside down and roundabout, it doesn’t mean that the Divine Feminine is not a good thing and is not present everywhere. In my ‘world’ I come across women and men who are beautifully expressing their Divine Feminine all the time – whether at work or play, in relationships, in friendships and more. Every day and in every moment they step out of the programming, the forgetfulness and the loss of soul that living without accessing the innate Divine Feminine encourages. This entry was posted in Blog and tagged balancing earth energies, earth and soul consciousness, earth changes, embracing the Divine, healing the earth, myths and archetypes, reconnecting the divine feminine, the divine feminine, The Divine Masculine, universal consciousness. Bookmark the permalink.